The U.S. Census Bureau of the Department of Commerce announced Tuesday that construction spending rose 1.0 percent in October from last month's revised estimate of $1,096.6 billion to reach an eight-year high of $1,107.4 billion. According to the report, construction spending in October is up 13.0 percent from last October's estimate of $979.6 billion. Recent reports have shown that increasing demand and low inventory levels are fueling home prices and are likely the driving factor of the uptick in construction spending. Construction spending totaled $888.1 billion for the first ten months of this year, nearly 11 percent higher than the $802.3 billion recorded during the same time period in 2014, the report stated. 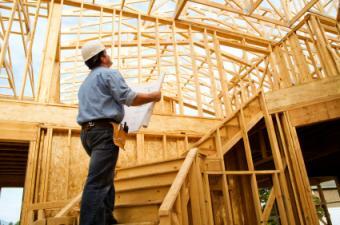 Residential construction spending was at a seasonally adjusted annual rate of $399.0 billion in October, 1.0 percent above the revised September estimate of $395.0 billion, the Bureau reported. Construction in the single-family housing market for the month of October as both housing starts and housing completions decreased, the U.S. Census Bureau and HUD recently announced. Residential construction data for October 2015 showed that single-family housing starts reached a rate of 722,000 in October, down 2.4 percent from September's revised number of 740,000. For buildings with five units or more, starts were at a rate of 327,000. Another construction component that declined in October is single-family housing completion. According to the Bureau and HUD, completions were at a rate of 640,000, down 0.5 percent from the revised September rate of 643,000. For buildings with five units or more, completions were at a rate of 318,000. "The steady increase in residential starts in 2015 has produced a steady increase in the number of homes under construction although carrying them through to completion slowed a bit as labor shortages, especially finishing carpenters, slow the ability to get finishing touches done," said David Crowe, NAHB Chief Economist and SVP. Realtor.com Chief Economist Jonathan Smoke noted that the housing industry needs stronger growth in construction and that the picture will only worsen if this negative trend continues. "At our current pace of activity and taking into account loss of housing stock due to disaster and dilapidation, we're building new units at less than half the pace at which we are forming households," Smoke said. The housing shortage only worsens if this remains the picture. Tight supply of homes for sale and low vacancies will continue to be the norm, and along with that, higher rents and prices."